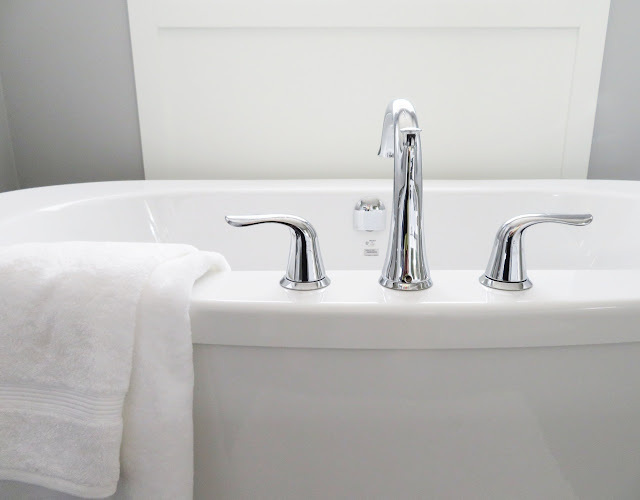 Modern bathrooms are so much more than small rooms used solely for hygiene. They have evolved into serene sanctuaries of beauty and personal shelters for relaxation. It pleases me to say that there are many ways to bring sublime comfort and captivating visual solutions to your space. Design possibilities are only limited by your imagination and budget. To really maximize the “wow” effect, though, and get the most bang for your buck, you should take the pulse of the exciting trends that will shape bathroom design in 2018. They will help you turn your dreams into reality and make the fairytale-like interior magic happen. First off, we notice the tendency to make space feel or actually become large. Some homeowners are deciding to add square footage by taking up space from another room or sacrificing things like an underutilized wardrobe. Sometimes, the whole bathroom gets relocated to a bigger room. Then again, you can also make a difference with the relocation of appliances and de-cluttering with smart storage. Finally, another viable approach is to create the illusion of more space with the help of tricks such as adding mirrors, using bright colors, opting for big tiles for the floor, etc. Minimalism has been quite popular, but in 2018, we will witness originality at work. Many designers are already shifting their aesthetics and implementing bolder color choices and patterns. All-white, sterile bathrooms are falling out of favor. Contemporary bathrooms will become livelier and warmer. Furthermore, daring designers embrace attention-arresting geometric patterns in uniform, multicolor, and patchwork schemes. So, feel free to break the monotony and linearity a bit and infuse your bathroom with a dash of playful uniqueness. If you ask me, a clean design can always use a bit of spice and contrast. Visual delight may be high on your list of priorities, but losing sight of functionality is not a good idea. After all, highly-practical showers have come into the spotlight lately, and we expect to see more and more variation like open showers, Italian showers, as well as multi-functional ones. That last setup includes a lot of moving part like a steam system, shelves, a bench, an anti-fog and ambient mirror, and a linear drain. This all does not mean that high-quality bathtubs are down and out. In fact, designers are breathing new life into them by boosting their relaxation potential, looks, and spaciousness. Hence, freestanding and islands baths are as popular as ever. Sticking to one distinctive style can streamline your design efforts. One look that stands out is the industrial one. It invites homeowners and designers to expose raw beauty instead of hiding it. So, do not shy away from the imperfect and flawed charm of brick walls, reclaimed and rustic wood or metal bathtubs. What is more, these elements and contemporary and high-tech, shiny surfaces, as well as clear colors make a great match. And to make things more interesting, you can always introduce some contrast, for instance, between white surfaces and dark steel. At the same time, one of the best ways to pull off a stunning bathroom transformation is to use natural elements and motifs that ooze originality. Wood always finds a way to make an appearance and steal the show. So, think in terms of organic materials like recovered wood, sea pebbles, bamboo, hardwood floor, or wallpaper and surfaces that mimic this natural look. Likewise, note that there are many ceramics in the market that emulate the pristine charm of high-end materials like wood, marble, and concrete. On the other hand, there’s the good ole real deal. Natural stone still reigns supreme in many designer bathrooms, most notably quartz and marble. There is absolutely no reason for a bathroom not to take the throne as the most spectacular room in your home. So, engage in sound planning and play with appearances and functionality. Experiment with easy-to-replace accessories before committing to one style. Integrate smart storage and get your creative juices flowing. Do not hesitate to let your hair down and inject your personality and sense of style into your space. *Diana Smith is a full time mom of two beautiful girls and is interested in topics related to health and alternative medicine. In her free time she enjoys exercising and preparing healthy meals for her family.